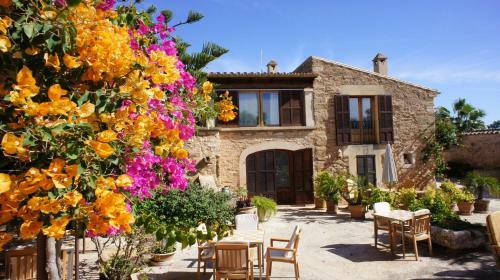 Sa Carrotja - Adults Only in Ses Salines is a country house with 12 Rooms. 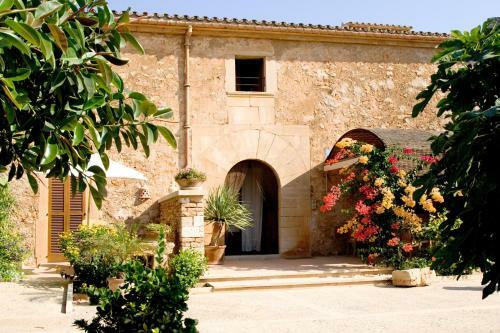 This former Majorcan farmhouse is set in its own tranquil grounds just 5 km from the coast. 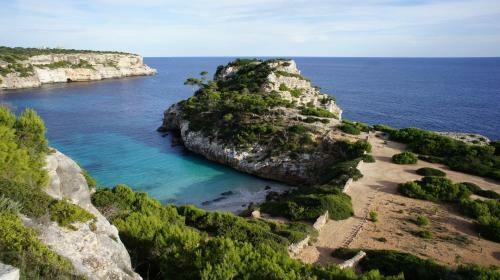 It has a swimming pool, wonderful views and free Wi-Fi. 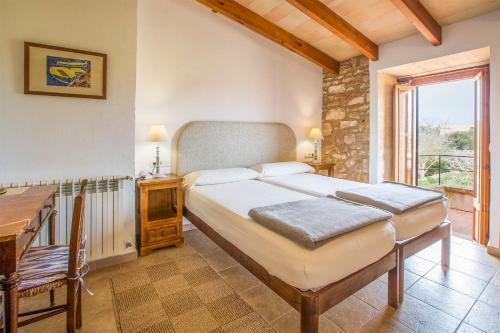 The rooms at the adult-only Sa Carrotja combine stone walls and wooden beams. The interiors are light and include antique furniture and beach towels. Some have private terraces. 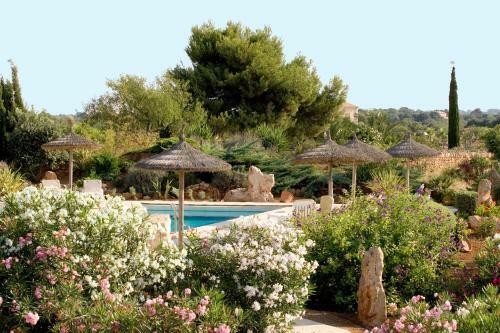 Sa Carrotja’s attractive gardens have been planted with flowers and plants native to the island. The outdoor swimming pool is open throughout the spring and summer. Around it... is a terrace with sunbeds and parasols. There are also bicycles available for free. 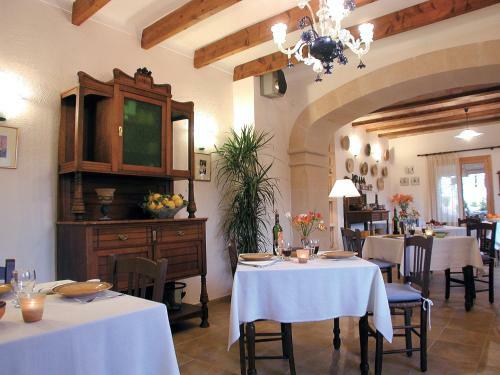 Sa Carrotja’s restaurant uses organic produce from the hotel’s own garden. It offers a buffet breakfast. There is a lounge and a dining room for non-smokers. 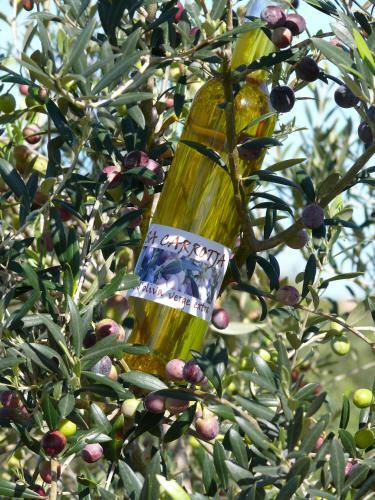 Sa Carrotja is located near the village of Ses Salines, where you can find shops and restaurants. 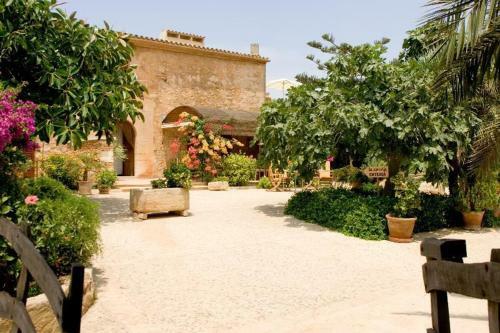 This former Majorcan farmhouse is set in its own tranquil grounds just 5 km from the coast. It has a swimming pool, wonderful views and free Wi-Fi. 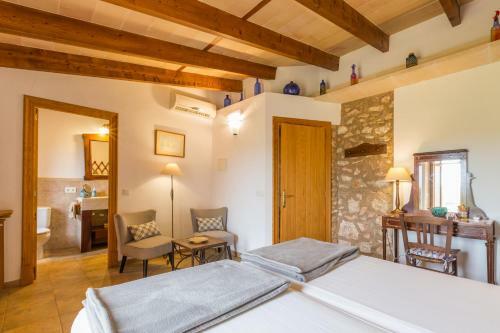 Th...e rooms at the adult-only Sa Carrotja combine stone walls and wooden beams. 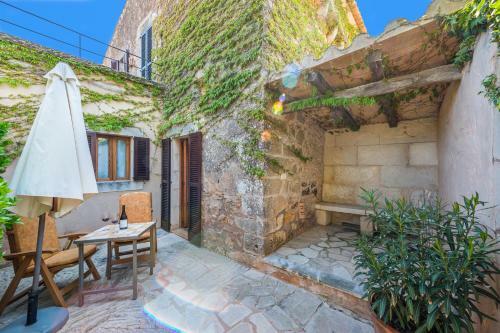 The interiors are light and include antique furniture and beach towels. Some have private terraces. 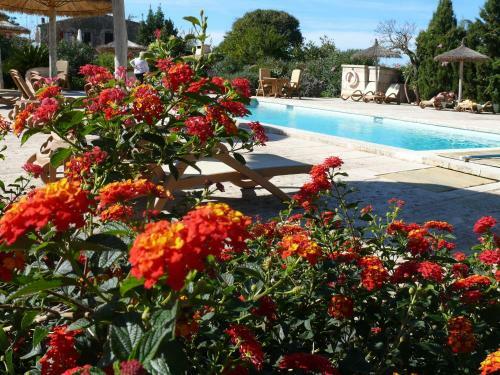 Sa Carrotja’s attractive gardens have been planted with flowers and plants native to the island. The outdoor swimming pool is open throughout the spring and summer. 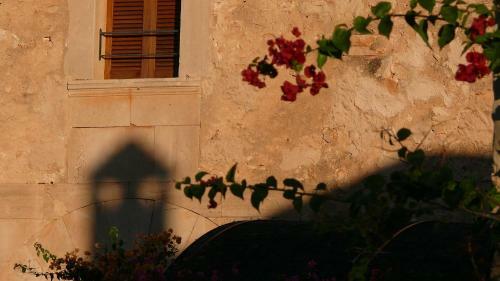 Around it is a terrace with sunbeds and parasols. There are also bicycles available for free. 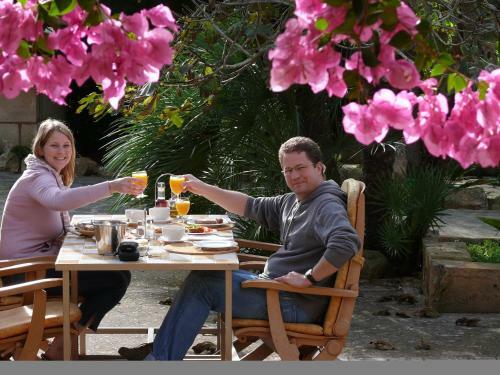 Sa Carrotja’s restaurant uses organic produce from the hotel’s own garden. It offers a buffet breakfast. There is a lounge and a dining room for non-smokers. 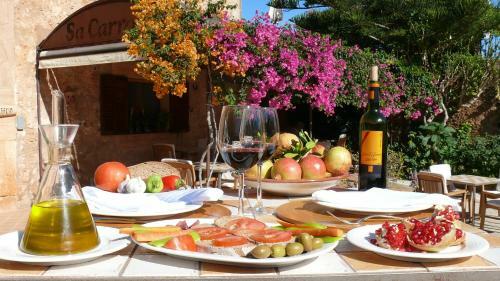 Sa Carrotja is located near the village of Ses Salines, where you can find shops and restaurants. 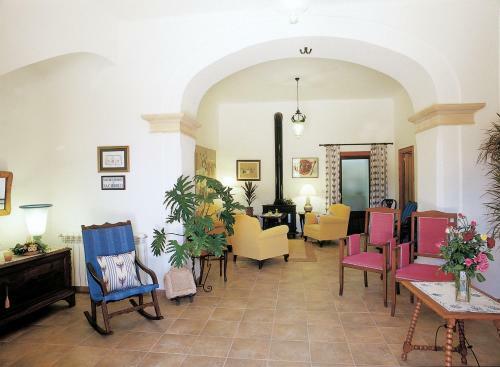 When would you like to stay at Sa Carrotja - Adults Only? Children and extra bedsChildren older than 15 years are welcome. 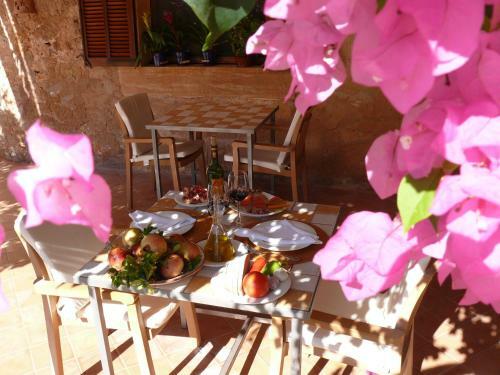 One child or adult is charged EUR 50 per person per night in an extra bed. The maximum number of extra beds in a room is 1. Supplements are not calculated automatically in the total costs and will have to be paid for separately when checking out. Any type of extra bed or child's cot/crib is upon request and needs to be confirmed by the innkeeper. Please let Sa Carrotja know your expected arrival time in advance. You can use the Special Requests box when booking or contact the property. Please note this property is for adults only.